Reliable, competent and with above-average yields. Solar Energy from one of the world’s most experienced Solar Solutions Provider. We are attending INTERSOLAR EUROPE 2019 in Munich, 15.05.19 - 17.05.19. You will find us in Hall A3, Stand 470 & 670. Our product catalogue contains more than 1,500 articles. 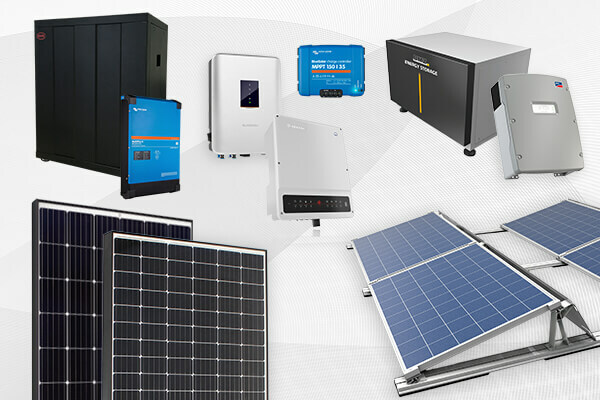 High-quality solar modules, inverters, accessories and powerful storage solutions. Browse through quickly and easily. Whether a PV installer or new employee, architect or sales professional or simply interested in photovoltaics. We offer an alternative to location-orientated learning with a web-based learning platform. Calculate the benefits of a solar roof! Perfectly Planned. Easily Implemented. Take-Care Packages from IBC SOLAR. Take-Care, this means market leading support for the commercialization of storage solutions. For more turn-over, faster implementation and highest customer satisfaction. We recently expanded our in-house quality control laboratory with a loading table for both, mechanical-static and dynamic testing. Please click on the button below to download our quality brochure now. IBC SOLAR offers tailor-made solutions ranging from individual solar panels to complete PV systems. For more than 35 years, IBC SOLAR has continually shaped the development of solar energy as a source of regenerative energy. This German company with its traditional background is one of the pioneers in the field of solar technology and one of the international leaders in the field of energy production from sunlight. IBC SOLAR is a complete solar energy system provider that offers everything from consulting to maintenance under one roof. Whether supplying self-consumption systems to the commercial sector, private households that generate their own electricity via a complete photovoltaic system, or even entire solar parks. 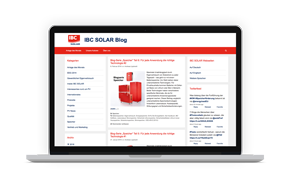 IBC SOLAR can help develop a tailor-made, personalized concept that fits your needs and energy requirements while considering localized conditions. The idea of converting solar energy into usable energy from a solar cell with the help of semiconductors has changed our world. Photovoltaics gives us the opportunity to say goodbye to energy from dwindling supplies of fossil fuels. 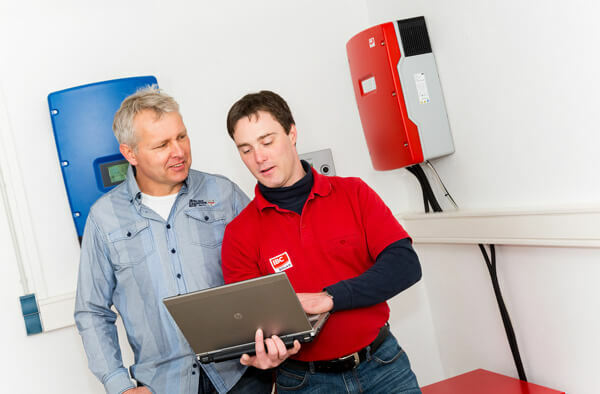 Get an experienced partner such as IBC SOLAR on your side, if you want to take a responsible step into the future with your company or private household by switching to renewable energies, and at the same time saving noticeably on your energy costs. Since 1982, we have been committed to making solar energy a real alternative to conventional power generation. We are proud to provide products which helps supply solar power to over two million people a year, with more than 3.3 GW of installed capacity. We work together with more than 1,000 specialist partners worldwide, from solar engineers to electrical contractors to the roofer. Together we also develop reliable photovoltaic systems with or without solar power storage! 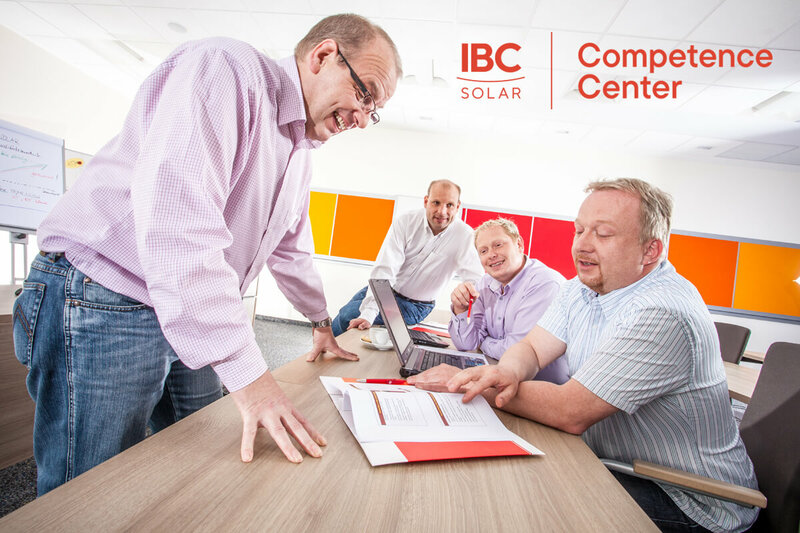 From planning to fulfilment of photovoltaic systems, IBC SOLAR and its specialist partners offer competent customer service. 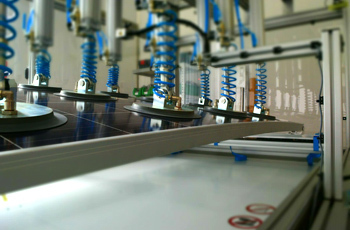 The highest quality of individual components, especially solar modules, is at the forefront of our business. The type of solar module must be chosen to suit specific circumstances - decisive factors include the load capacity of the roof, wind load, snow load regions, salt water resistance, the size of the roof surface, the roof pitch and the desired efficiency. In addition, IBC SOLAR places great importance to ensure that every solar module delivers with its efficiency and longevity. For our solar systems we give you our quality promise. Thanks to our strict production standards, we deliver systems and solutions of the highest standard. To help maintain this, we conduct regular internal controls and also go through independent certifications and examinations. Our well thought-out systems consist of high-quality individual parts that are optimally paired with each other. Photovoltaic systems from IBC SOLAR are reliable and provide maximum yields. We build solar systems that work optimally for more than twenty years and achieve energy cost savings of up to 80 percent (with electricity storage). And that's not all: take advantage of additional government compensation and feed the energy you do not use into the public grid. 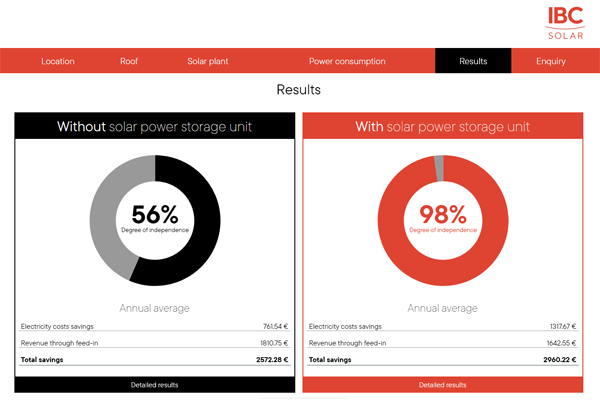 As a private individual you can make your solar system a sustainable investment. 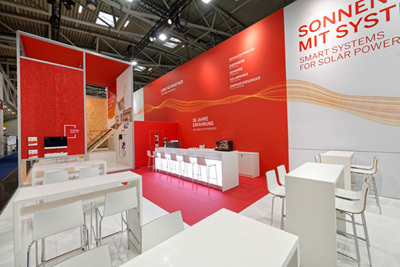 At IBC SOLAR, one of the world's leading photovoltaic system providers, you will discover a comprehensive product range for both grid connected and off-grid solar energy solutions that you can rely on!